Small companies continue to attract attention from investors while large caps deal with sector specific and macro headwinds. I took the opportunity to fire 10 questions at Chris Prunty who is a portfolio manager at QVG Capital - a specialist small cap investment firm. I hit Chris up on topics including small cap valuations, growth vs value, his top 5 holdings, a gold miner that’s getting plenty of attention and the ‘false narratives’ that he is hearing around the market. "Without adequate preparation and education few investors will have the mental fortitude to buy drawdowns and a few may even sell at the bottom. This is something we want to avoid." 1. There’s a popular narrative right now that the small caps segment has been running hot, yet the index return looks nothing spectacular. How would you describe the small cap landscape right now? Tech stocks are white hot, industrials ex tech are up a little and resources are down calendar year to date. It’s hard to be too precise about these things but on our measures small cap industrials are slightly overvalued relative to bonds but are still within a normal range. While banks are being Royal Commissioned and large resources aren’t working with trade and emerging market fears, the incremental dollar will still go to mid and small cap industrials as that’s where the growth is. 2. I note that quite a few small cap managers have been delivering some big numbers. Why is that – have the winners been really obvious? Winners are only obvious in hindsight. I would not pay too much attention to headline performance over a period of just 12 months. We and some of our peers have done quite well over the last 12 months but the performance number itself says nothing about the risks we took to get that performance. If you use leverage, concentrate your portfolio or buy very illiquid stocks these are all ways to produce high headline returns but come with associated risks. One of the reasons we hold 40 stocks, have no net debt at the portfolio or company level (in aggregate) and point out the median market cap of our fund is >$700m is to show we’re risk aware. 3. The chart below suggests that a narrow set of stocks are benefitting, what’s your take on the story this chart tells us? I think the chart points to the fact fundamental value-oriented managers are no longer the marginal price setters. More and more money is going to growth, quantitative and index strategies that care more about earnings and price momentum and less about value. This is not evil or something to unduly worry about, but it is a shift in how the market works and helps explain the poor performance of value managers over the past few years. 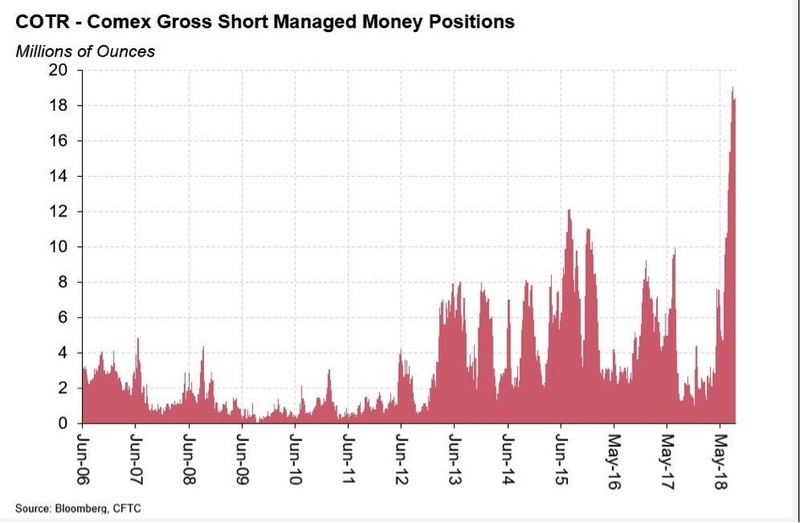 It’s hard to see a circuit-breaker for this sort of behavior in the short term as the trend towards passive and quantitative strategies is strong and in in the case of momentum and index strategies it is self-reinforcing. Over the long term it will open mispricing for fundamental guys to exploit. 4. Is there anything specific from a business cycle perspective that would see some of the ‘cheaper’ sectors start to catch up? Resources and mining services can turn very quickly if there’s US dollar weakness, Trump’s trade rhetoric tones down or Chinese credit expansion starts to benefit fixed asset investment. Retail and traditional media are cheap sectors that, absent a pick-up in consumer sentiment, are more likely to see re-rates for stock specific reasons. 5. When I look across your top 5 holdings as at August (Adairs, Afterpay, Aurelia Metals, Seven Media and Nine Entertainment). Only one of these stocks would really appear to be a ‘flavour of the month’ stock. What do these holdings say about your view on the current set of opportunities? Because we are horrible at forecasting what themes or sectors are going to work in the short-term we take a balanced approach. This means we like to own some resources, some industrials, some growth and some traditional value ideas. Now, however, our portfolio is as skewed to value as its ever been. In aggregate our portfolio trades with a median EBIT multiple of <11x, EBIT growth in the teens, no net debt and incremental ROICs of >20%. This means that if our companies can meet or beat earnings expectations then good things should happen. 6. Aurelia Metals has started to pop up on the register of quite a few fund managers. Why has it captured so much attention? The US$ gold price has been falling and base metals have been weak so what’s the appeal of a poly-metallic gold producer? We like the fact it spews cash. November last year AMI raised A$105m in debt and equity to acquire Peak Mines from Canadian-listed Gold producer New Gold. Peak was an orphan asset for New Gold but was just 90km down the road from AMI’s Hera operations. AMI was excited about the Peak acquisition as AMI’s CEO – Jim Simpson – was previously the GM of Operations at Peak. Fast forward 7 months and AMI has generated enough cash out of Hera and Peak to retire the $45m of debt used to purchase Peak and finds itself with $67m of net cash (and growing) at June. The challenge for the company now is to extend the 4 year mine lives at Hera and Peak; something we have confidence they can do with a relatively modest exploration spend given the prospective ground they’ve inherited as part of the Peak acquisition. Beyond this, AMI has the high-quality problem of trading on 2x cash flow with more money than ideas. AMI have proven themselves skilled mine and capital managers and we expect this to continue. 7. The chart below suggests gold has fallen deeply out of favour with investors. Do you take a view on gold? We don’t. AMI is something we own because the bottom up story is so compelling. Our view is Gold is a currency and an alternative to the US dollar. Gold will clearly struggle to work while there’s US dollar strength but our ability to forecast when this turns is close to zero. 8. You’ve just come through reporting season which is a great chance to find new ideas. Have you got something fresh, maybe an ‘under the radar’ name that passes the Quality Value Growth process? We recently went substantial in Specialty Fashion Group (SFH). After the sale of all but their City Chic women’s fashion brands to Noni-B, Specialty Fashion is unrecognisable from its former rag-trader to old ladies self. The slimmed down SFH now contains just the City Chic plus-size apparel retailer. City Chic is a high margin business with a very high proportion of online sales, global growth and store roll out potential and management who are fanatical about understanding the needs of their customer. SFH has a net cash balance sheet and has committed to reinstate dividends. With just one broker covering the stock, a <$250m market cap and the earnings power of City Chic having long been hidden within the previously larger SFH Group, it’s not hard to see why it’s under-appreciated. At just 10x EBIT we see plenty of potential for upside as the global nature of the story becomes appreciated by the market. 9. You tempered investor expectations about future returns after delivering some compelling numbers. Are you just being prudent or does that reflect a view on the outlook for small caps? It surprises people to learn that even the very best long-only small cap managers on average deliver negative returns one in every three months. A high pain threshold is a good attribute to have for a small cap investor. So far we really haven’t been tested by the market. Since inception of the fund on 1 September we had a blink-or-you-miss-it 6.5% drawdown in 2 days in early Feb and just one down month. This is unusual. At some point we’ll go back to losing 1 month in 3 but we’d still hope to add meaningful value over the market. Between 2010 – 2017 the Small Ords did just 2.6% CAGR but there were a handful of micro and small cap managers who did >20% net over this period. My commentary reflects a desire to condition our investors for the inevitable drawdowns and for them to see these as opportunities not something to be feared. Without adequate preparation and education few investors will have the mental fortitude to buy drawdowns and a few may even sell at the bottom. This is something we want to avoid. 10. If there was one ‘false’ narrative getting passed around the market right now, what would it be? My colleague Tony reckons he’s sick of the ‘rise of the machines’ narrative i.e. 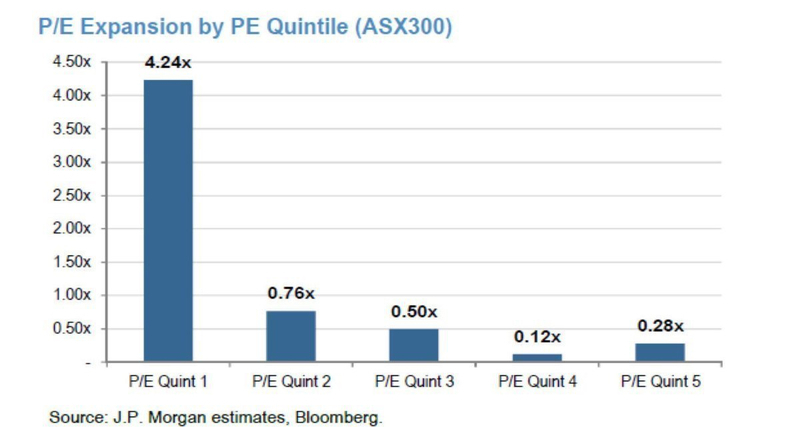 that all fundamental guys are going to be disrupted by the quants. For me there are a couple of perennials that just do not go away: for example, that GDP growth and equity returns are correlated and that an ability to forecast the macro is possible and adds value. You can stay up to date with Chris by 'following' his profile on Livewire. An informative interview. Appreciate your approach. Excellent - A most refreshing and concise narrative - thanks for the 'no nonsense approach. Bill K.